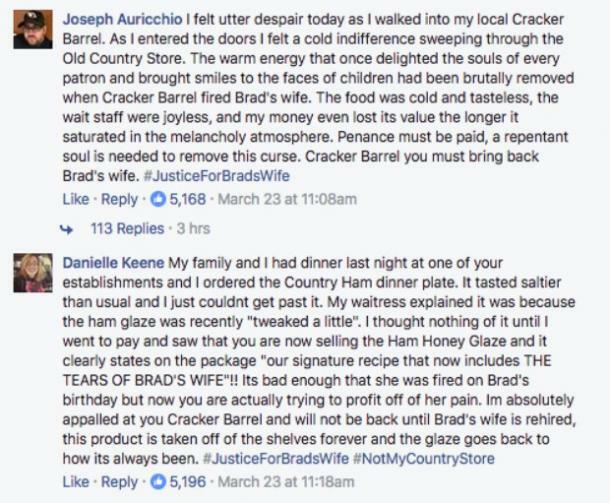 Yeah, Cracker Barrel ... why DID you fire Brad's wife? 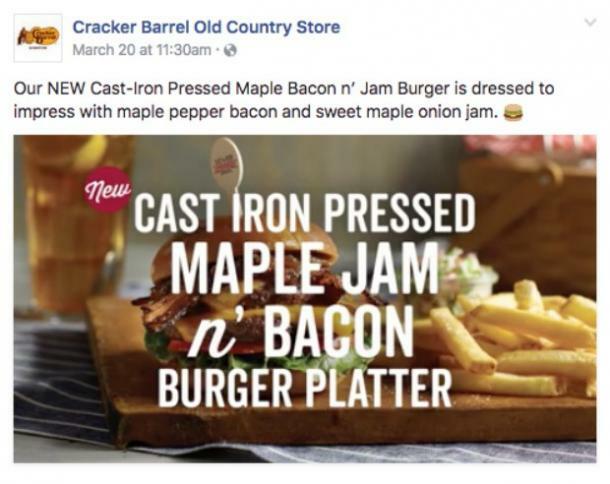 What happens when your wife gets fired from her job at the southern style restaurant Cracker Barrel Old Country Store after 11 years? You ask them why on Facebook, of course. Which is exactly what Bradley Byrd from Milltown, Indiana did on March 21st. 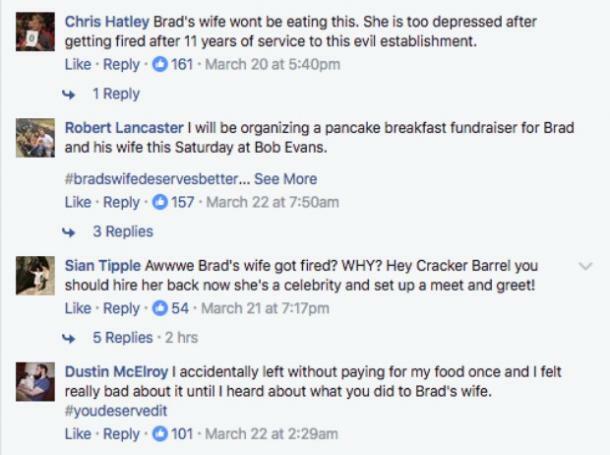 I can't imagine that Brad, or his wife Nanette, had any idea how that one post would break the internet, but it did. 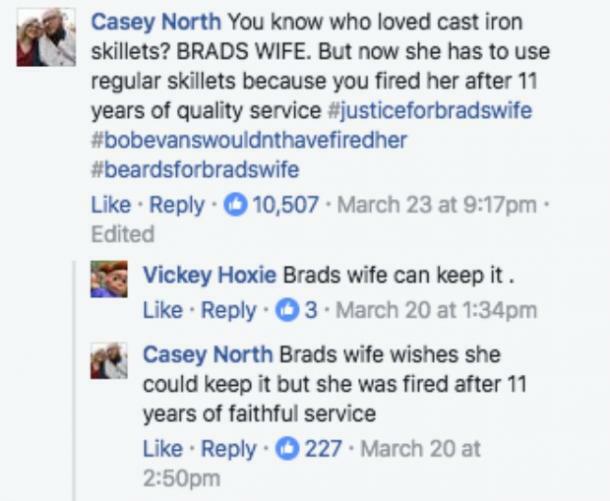 Sorry, Kim Kardashian, but Brad's wife has you beat on this one! We understand the seriousness of unemployment, and we hope that Brad and Nanette are doing OK. However, with all the bad things going on in the world at the moment, this breath of fresh air created by the people who want #JusticeForBradsWife is comforting. If nothing else, they've now gained thousands upon thousands of new friends. There's even a petition to rehire Nanette on change.org with over 23,000 signatures as of this writing. Want to add your name? 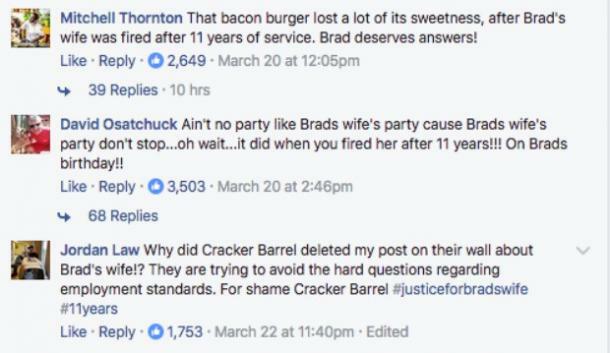 Here you go: JUSTICE FOR BRAD'S WIFE, CRACKER BARREL!!! 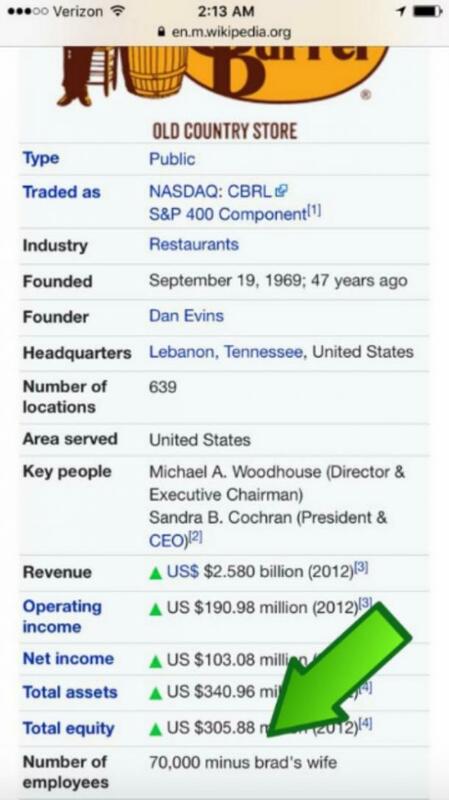 Some clever person even changed Cracker Barrel's official Wikipedia page to reflect the firing (though it has since been corrected). 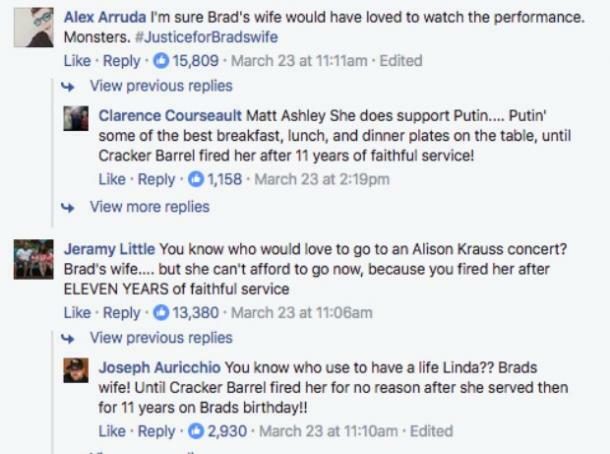 Everyone now wants #JusticeForBradsWife — and we need answers. The people of the internet are not letting this go until they get answers. 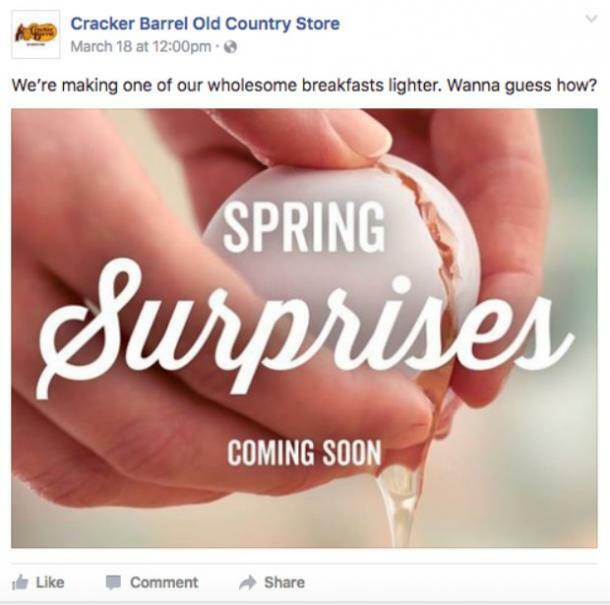 Whenever Cracker Barrel posts on their Facebook page, legions of Brad's wife's supporters flood their comments with questions, memes, and demands for justice. This is why I love the internet (most of the time). 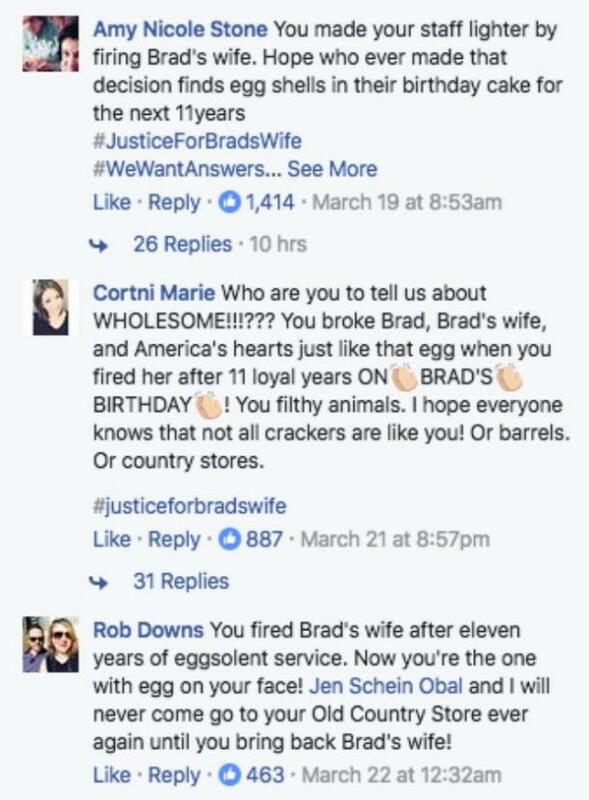 The page's followers had much to say, even though it was posted prior to Brad's wife being fired. If you think it ends here, you'd be wrong. 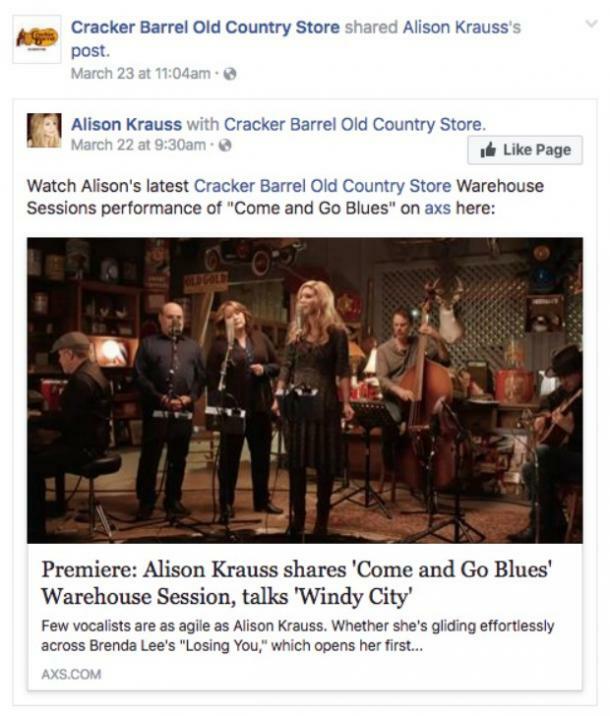 Just like David Osatchuck says, "Ain't no party like Brad's wife's party cause Brad's wife's party don't stop ..."
The tears of Brad's wife ... I mean, this is GOLD, people! Don't give up, Brad and Nanette. The internet has your back!